Next week, the UN General Assembly (UNGA) will meet in New York, and progress toward the Millennium Development Goals (MDGs) will be high on the agenda. Along with the UNGA, NGOs, governments and other leaders will assess progress and discuss the way forward for improving health outcomes, including accelerating reduction of maternal mortality. In fact, there are more than 30 official side events scheduled to take place over the course of the week. And, thanks to Women Deliver, FHI360 and Johnson & Johnson, working to support Every Woman Every Child, the in-person events are only the beginning. Together, these organizations are launching #MDG456Live, on Twitter to foster conversation online, along with daily email updates on the biggest news, best discussions and most important events for each day. This initiative will utilize the hashtag #MDG456Live to draw content from several social media outlets. In addition, the initiative will pull from other hashtags such as #EWECProgress in order to cover the best of the conversations and events taking place during the week. Drive awareness of UNGA week messages and activities to global health and development stakeholders worldwide. Capture in one place daily conversations taking place live during UNGA Week on issues related to MDG 4, 5, and 6, with special emphasis on the impact on girls and women. Create an archive on the activities and conversations on MDGs 4, 5 and 6 that took place during UNGA week. Provide a platform for participating organizations to share news and content that are important to them. The Hub – This will be the central home for all content being shared by partners and reporters, and will serve as the clearinghouse for curated coverage during the week. Click here to see The Hub from the Women Deliver 2013 Conference. The Daily Delivery – Daily recap emails covering the previous days social media conversations, news, and events from EWEC Community. This will include the best content posted on The Hub. The initiative will highlight news and announcements from key partners with updated data and reports on such issues as child survival, maternal health and HIV. SIGN UP for the Daily Deliveries. 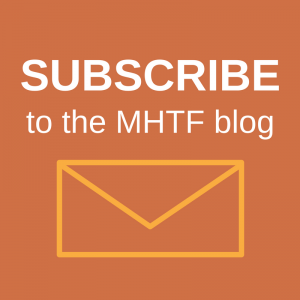 The posts on this blog do not necessarily reflect the views of the Maternal Health Task Force. 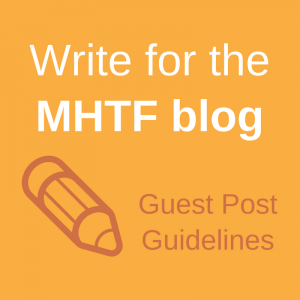 Our objective is to provide a platform for our Editorial Committee and other experts to post a myriad of data and evidence, as well as opinions/views that exist in the field which will contribute to expanding the maternal health dialogue. This project is supported by the Health Resources and Services Administration (HRSA) of the U.S. Department of Health and Human Services (HHS) under grant T76MC00001 and entitled Training Grant in Maternal and Child Health. This information or content and conclusions are those of the author and should not be construed as the official position or policy of, nor should any endorsements be inferred by HRSA, HHS or the U.S. Government.